A new discovery makes graphene look a lot weaker now. 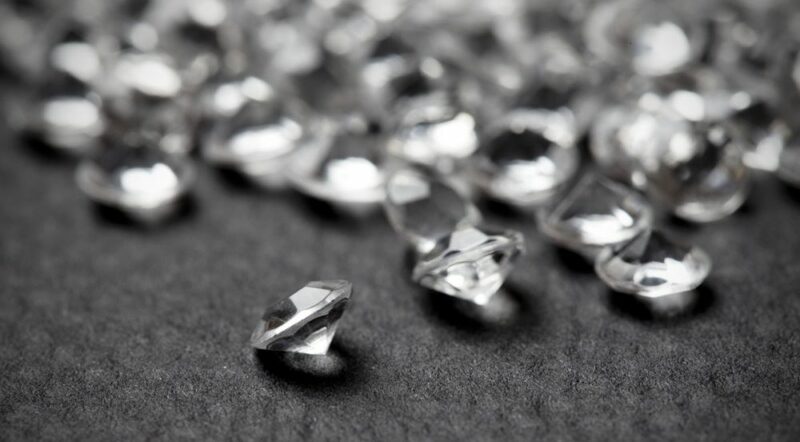 Australian researchers have discovered that diamond nanothreads (one-dimensional diamond crystals capped with hydrogen) could be extremely strong. 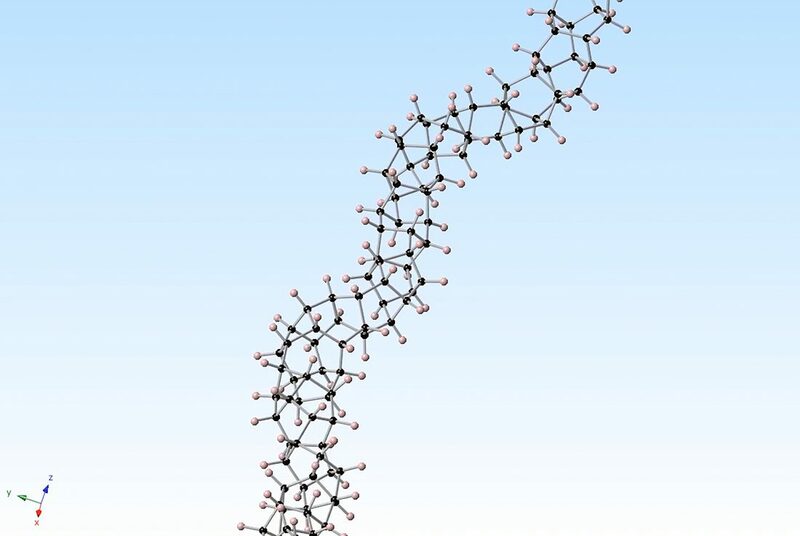 This ultra-thin diamond nanothread is a 1D structure with poly-benzene sections connected by Stone-Wales (SW) transformation defects. What this basically means is that if mixed with the right amount of defects, these nanothreads become supremely flexible and durable. This will potentially allow one to create nanoscopic structures that cater to how strong you require them to be, with a ‘perfect’ mix of bendy and rigid shapes. “Its highly tunable ductility together with its ultra-light density and high Young’s modulus makes diamond nanothread ideal for the creation of extremely strong three-dimensional nano-architectures,” say Zhan and co.
Of course, these nanothreads have been discovered on in simulation and only real-life applications can tell just how useful diamond nanothreads can be. The next step would be for material scientists to create nanothread construction kits and start measuring this material’s properties for real. Since the potential applications are wide, you may just see these little nanothreads everywhere around you very soon.